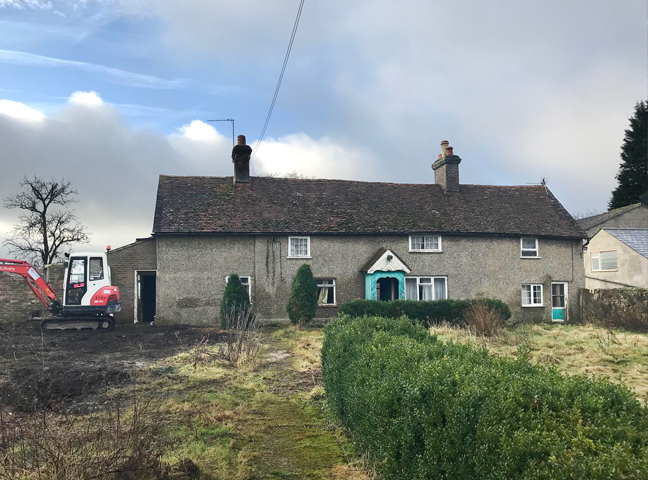 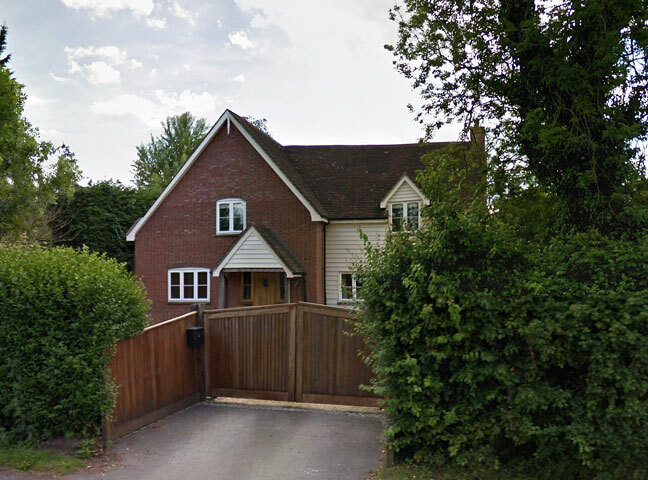 A typical 1970's house, well built but cold and dark. 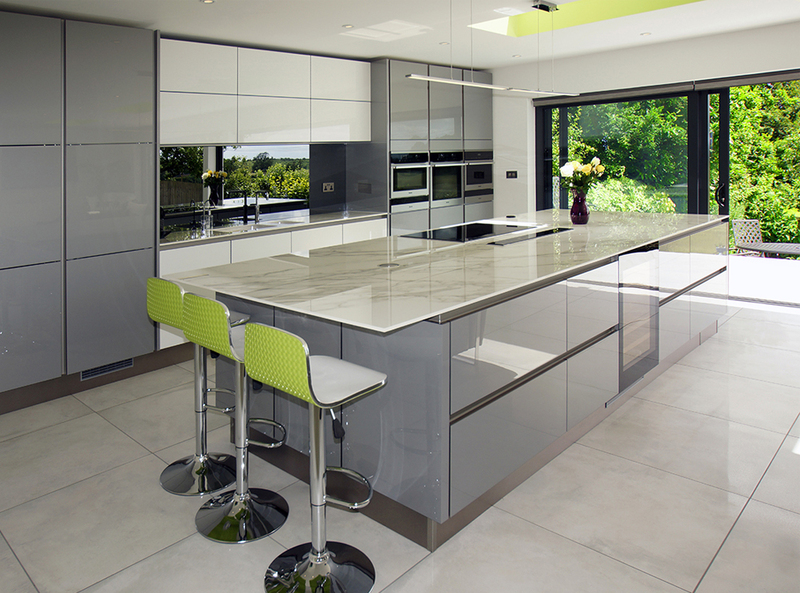 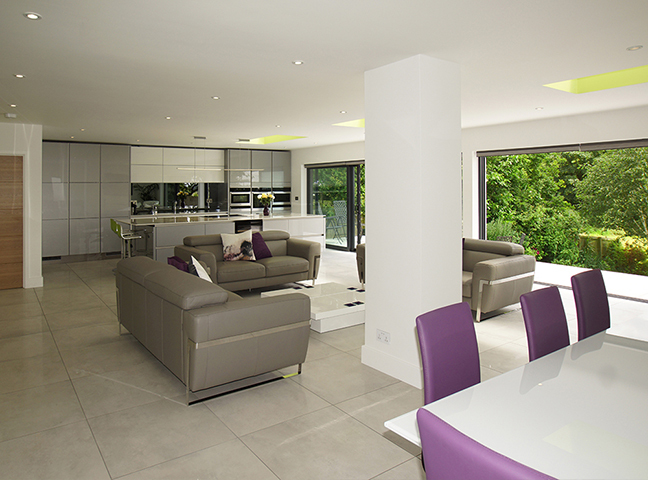 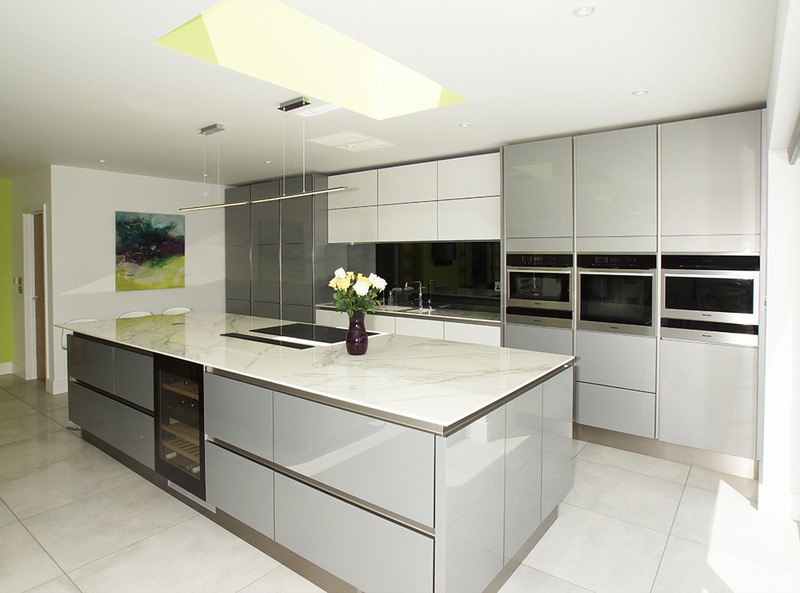 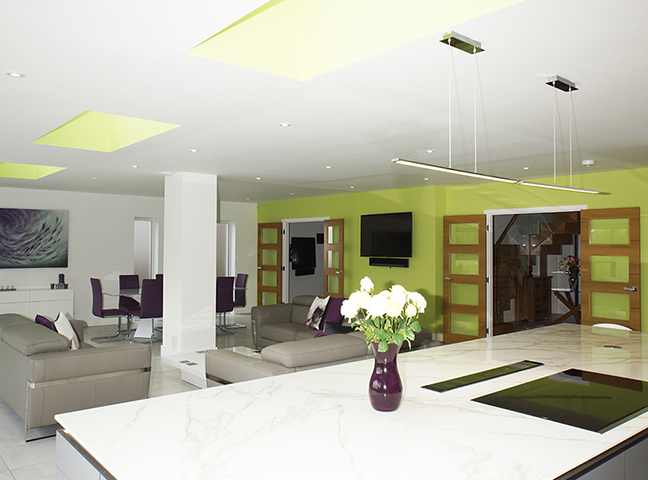 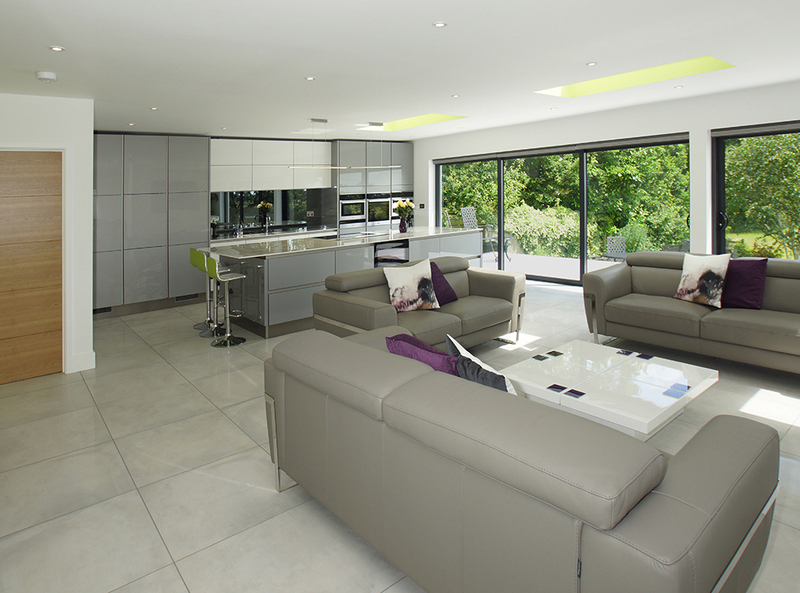 As part of the project we have extended and finished the kitchen to a ultra modern style. 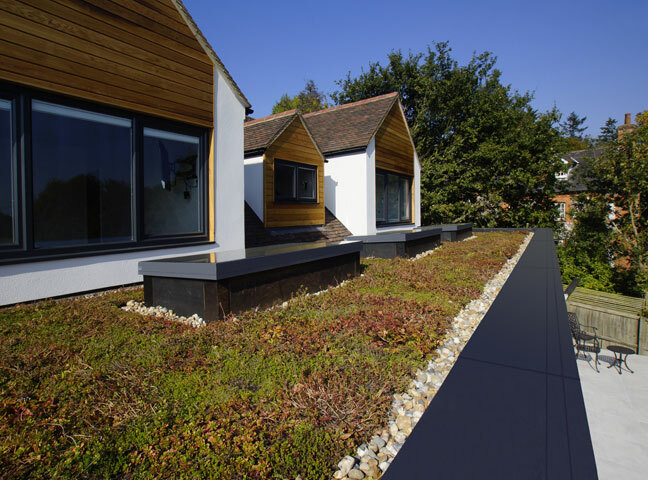 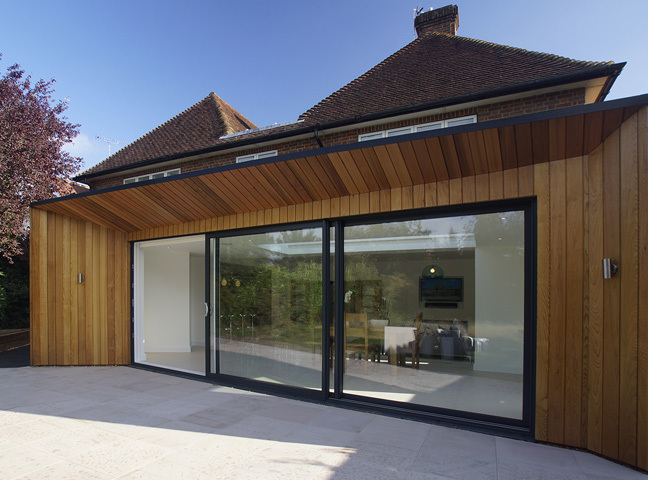 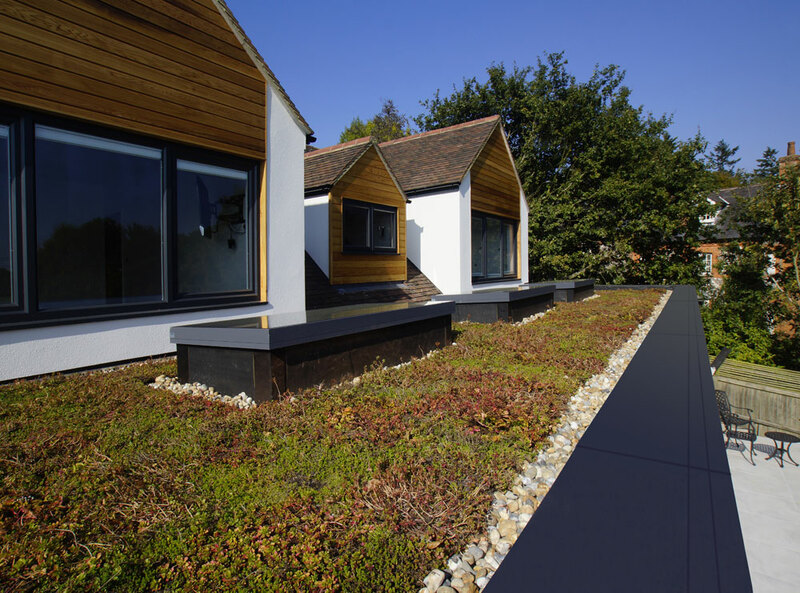 This extension has a rubberised flat roof with glazed roof lights and benefits from a biodiverse green living grass covering. 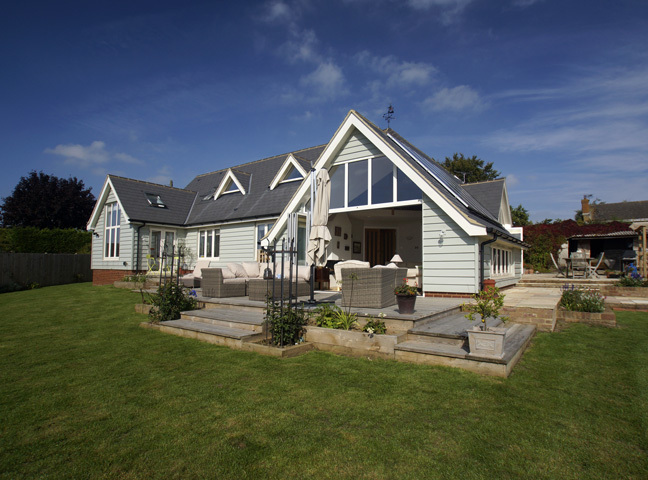 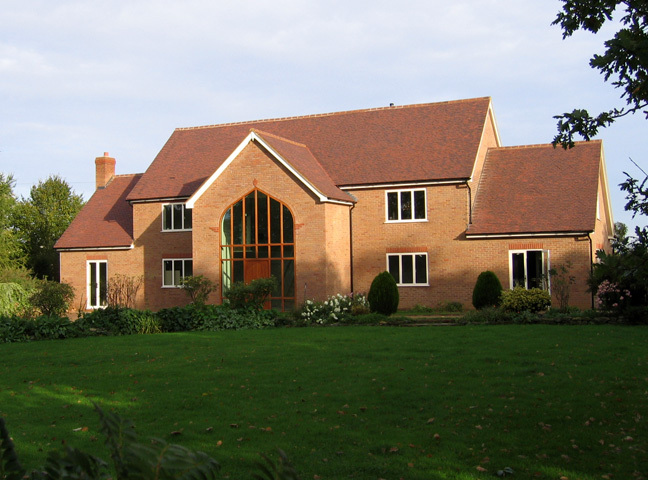 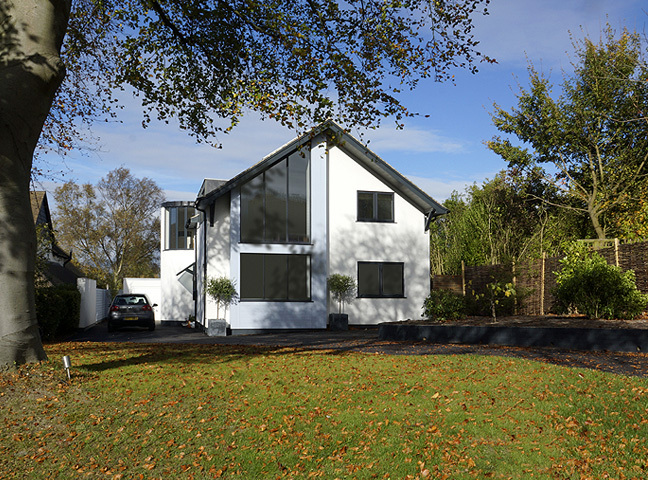 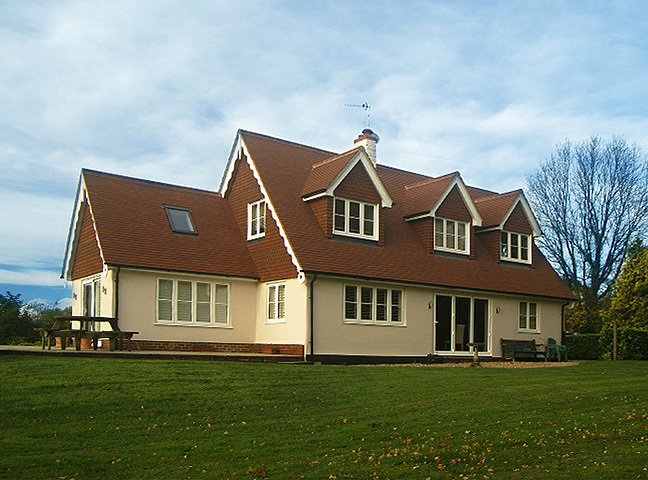 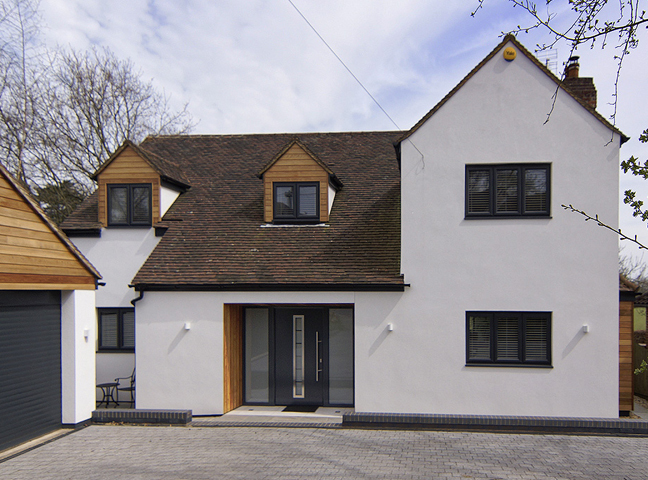 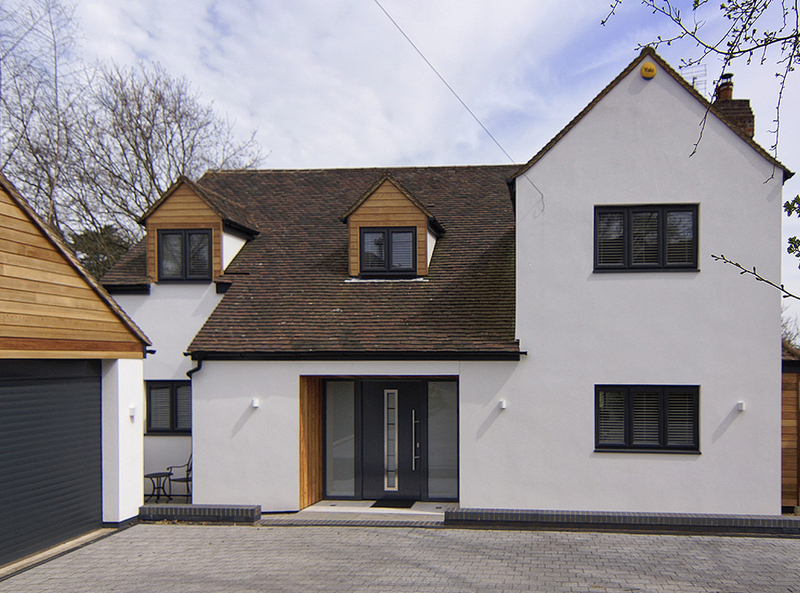 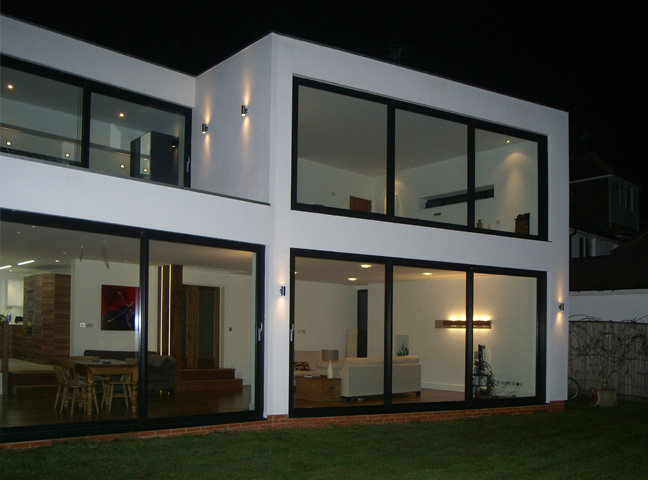 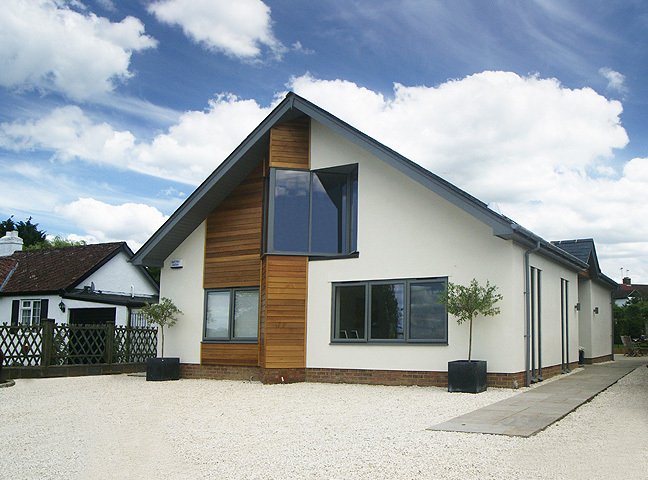 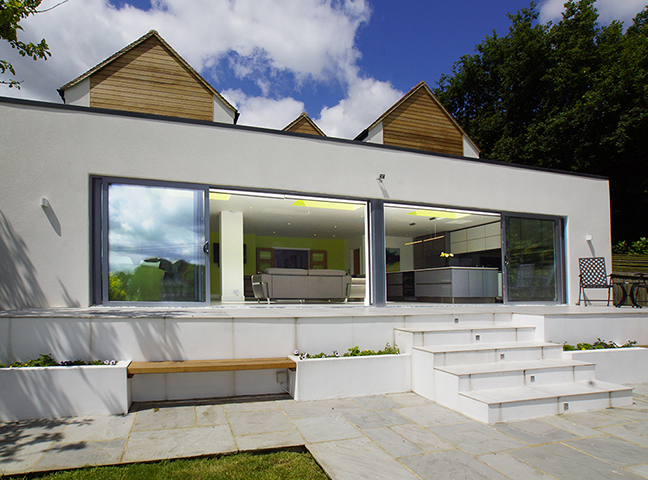 For ultimate energy efficency the house has been encased in insulation, then finished in a polymer render. 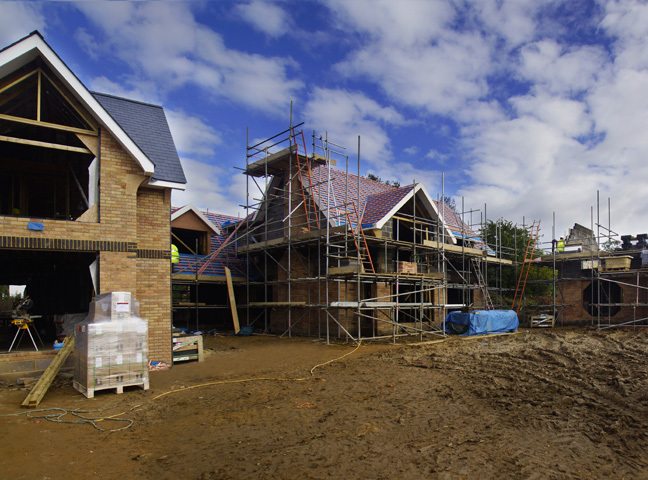 The ground floors have been taken up and re-laid to include floor insulation and water filled under-floor heating. 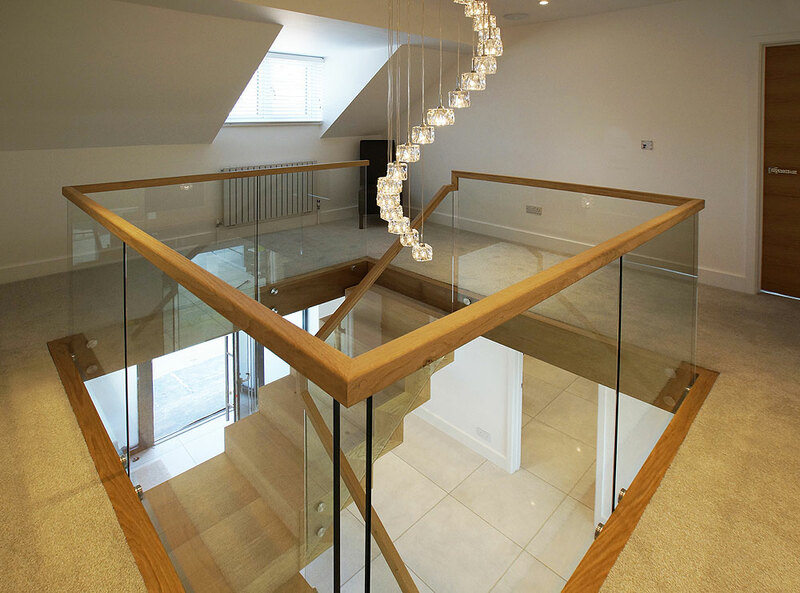 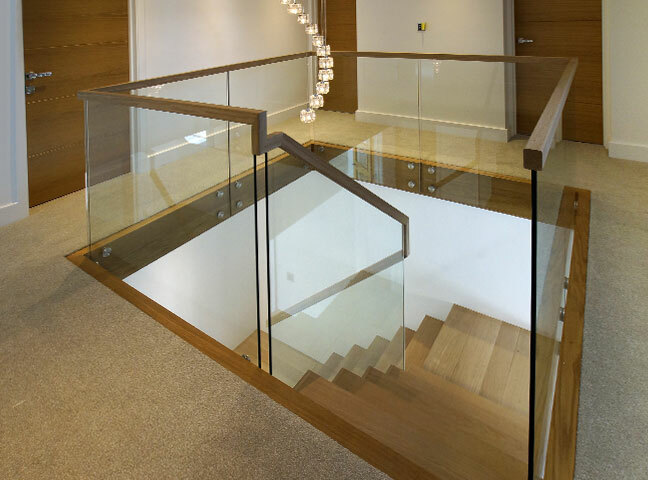 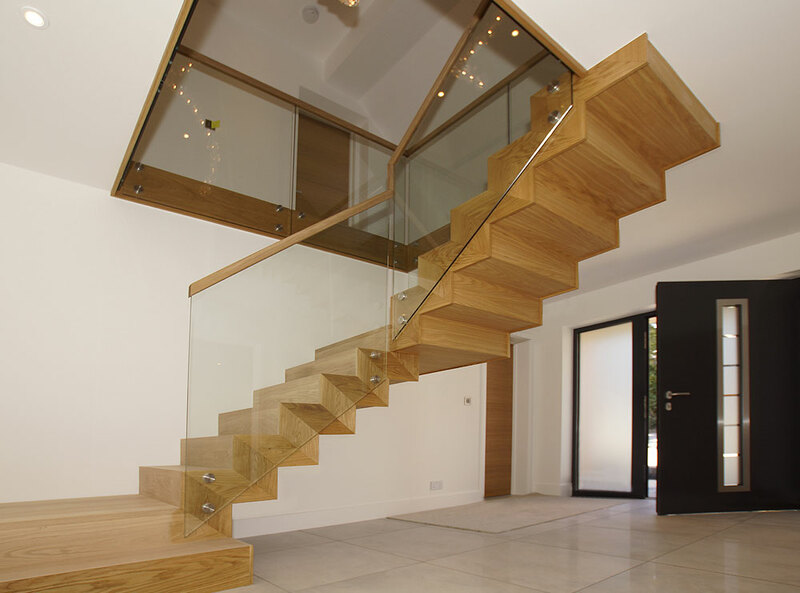 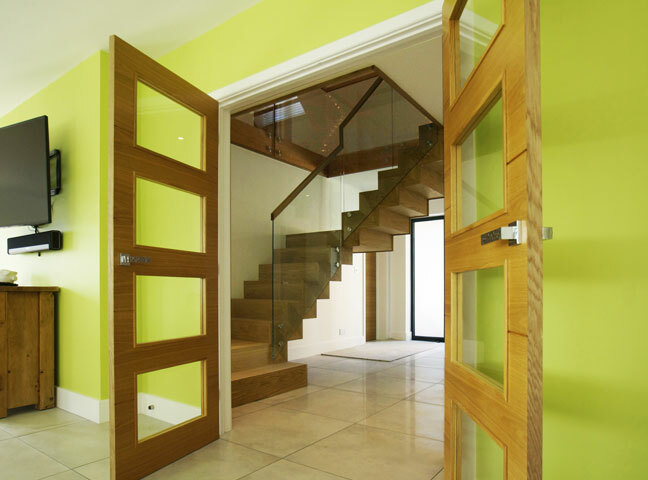 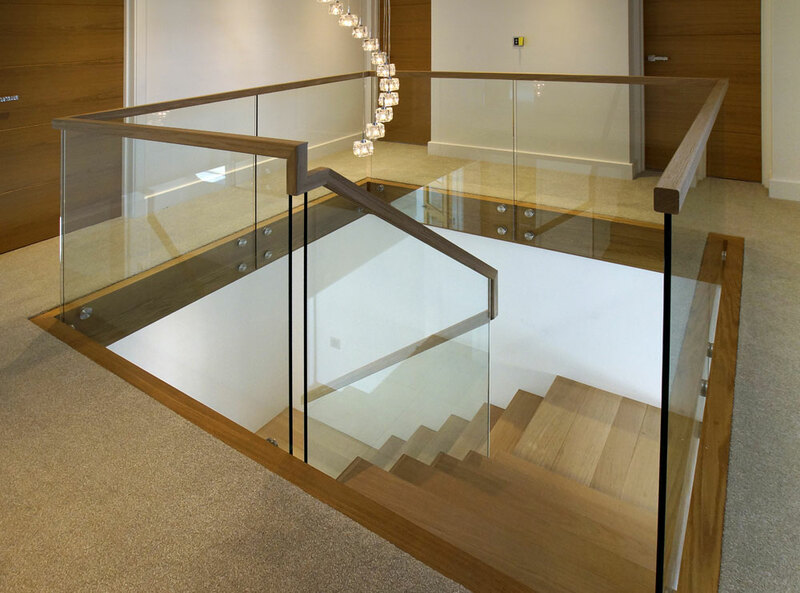 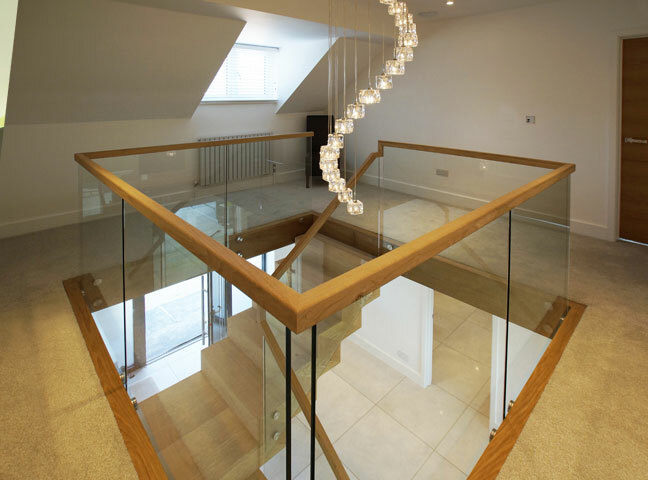 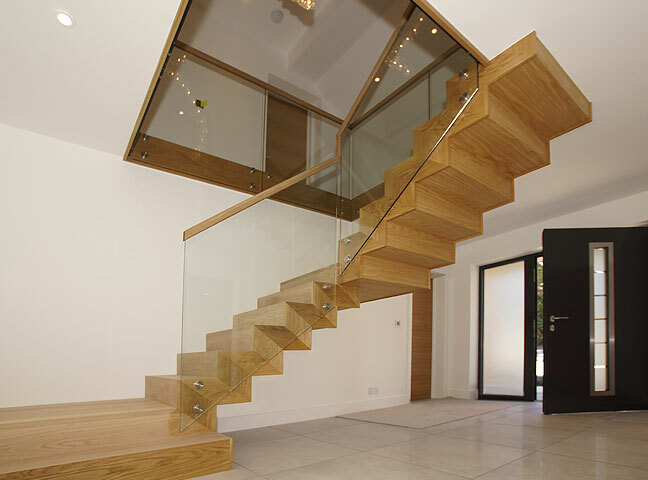 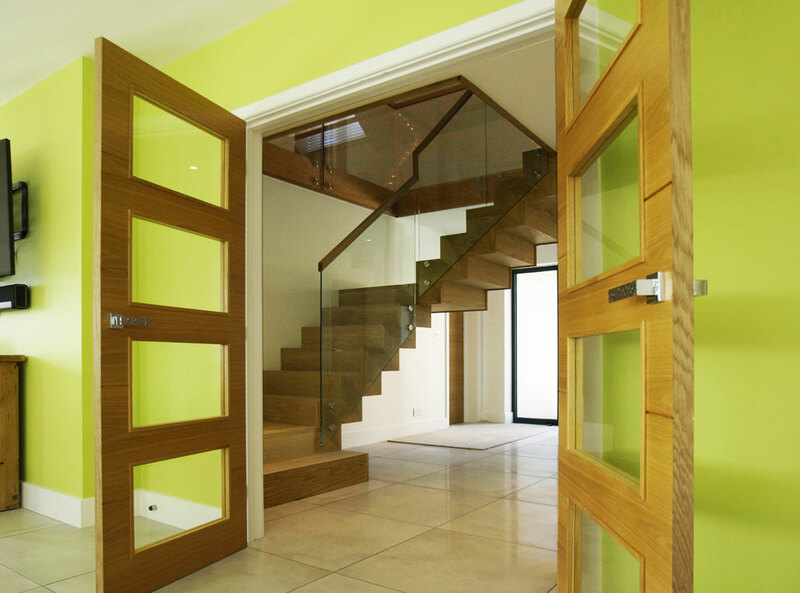 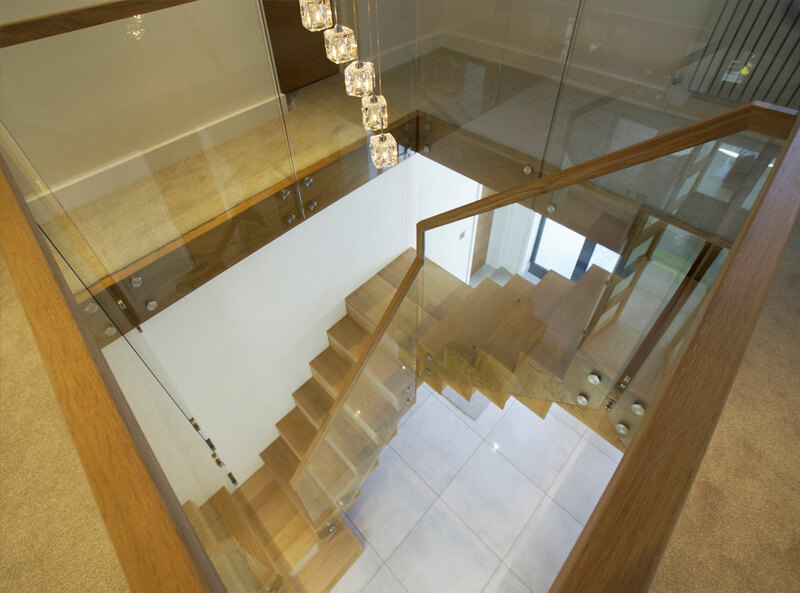 Internal walls were removed and an our joinery team have constructed an oak and glass central staircase. 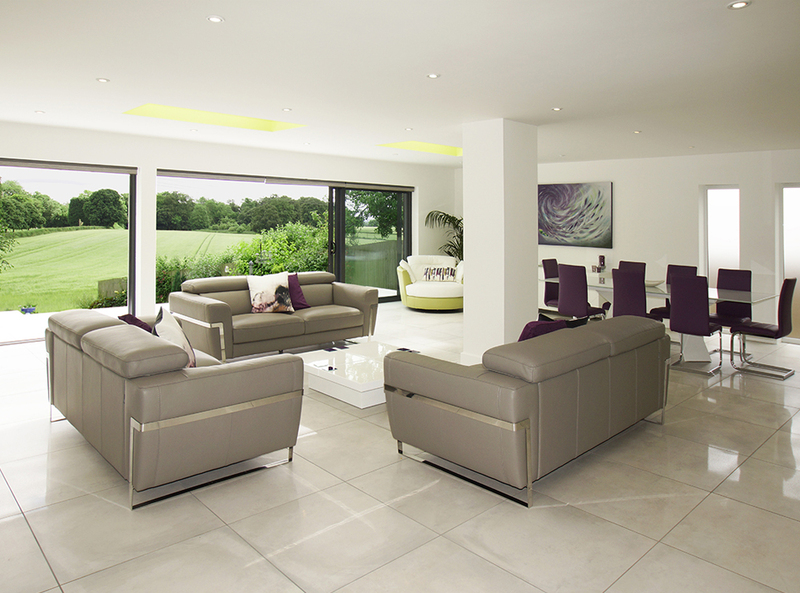 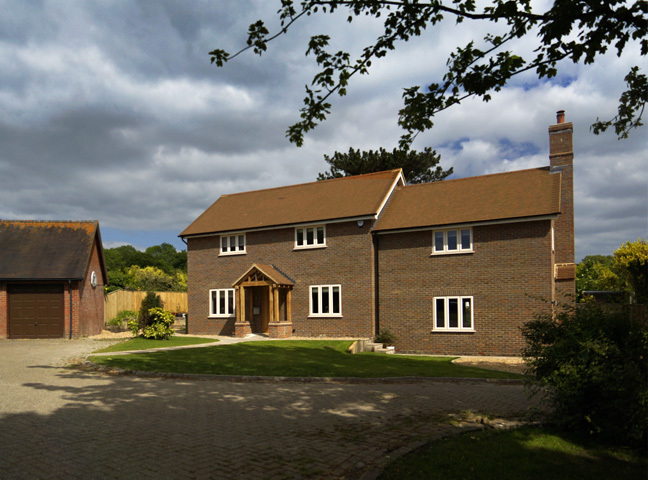 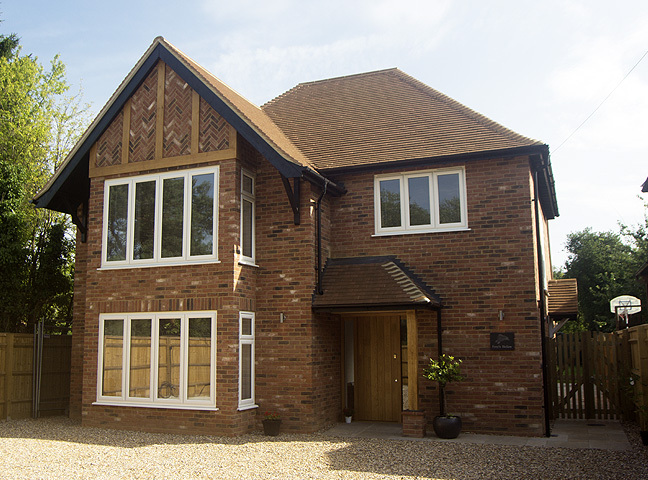 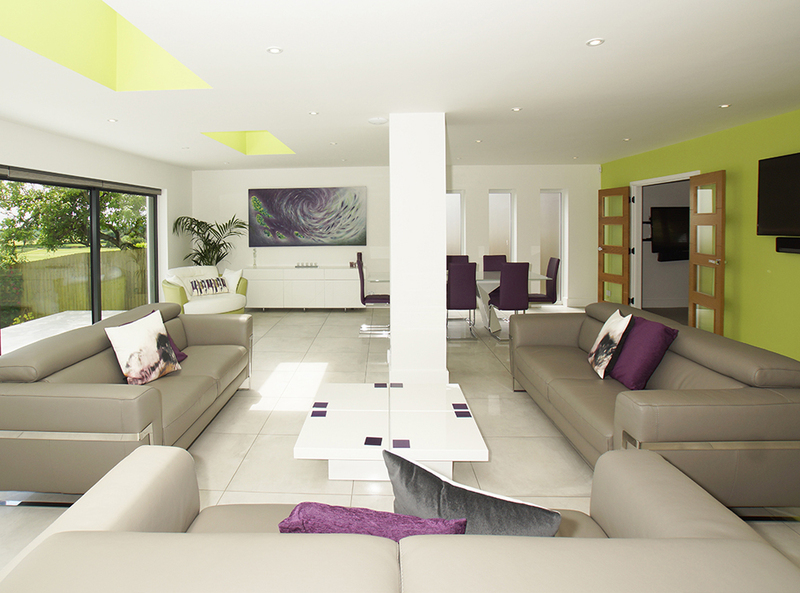 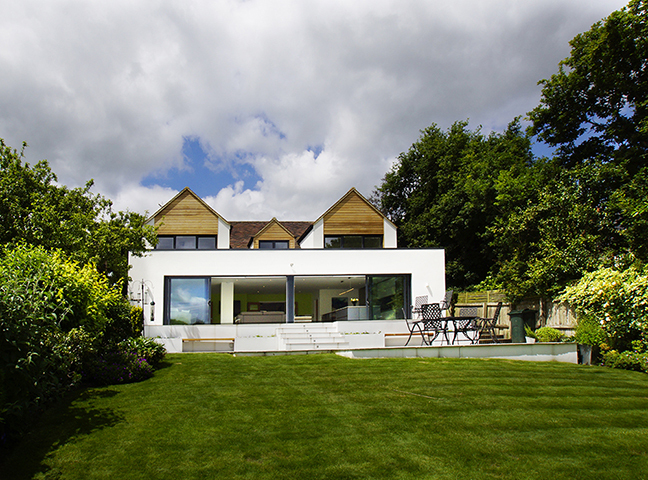 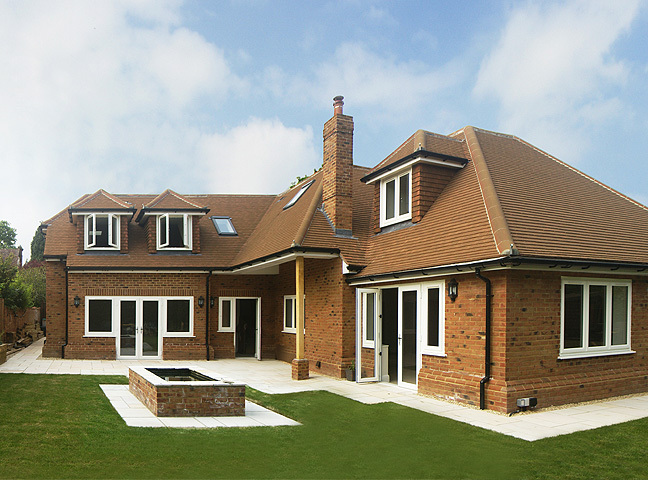 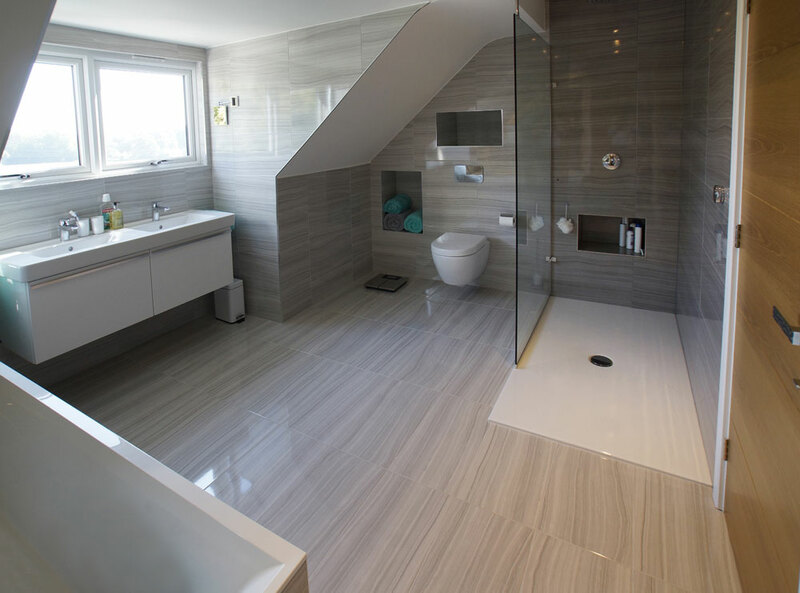 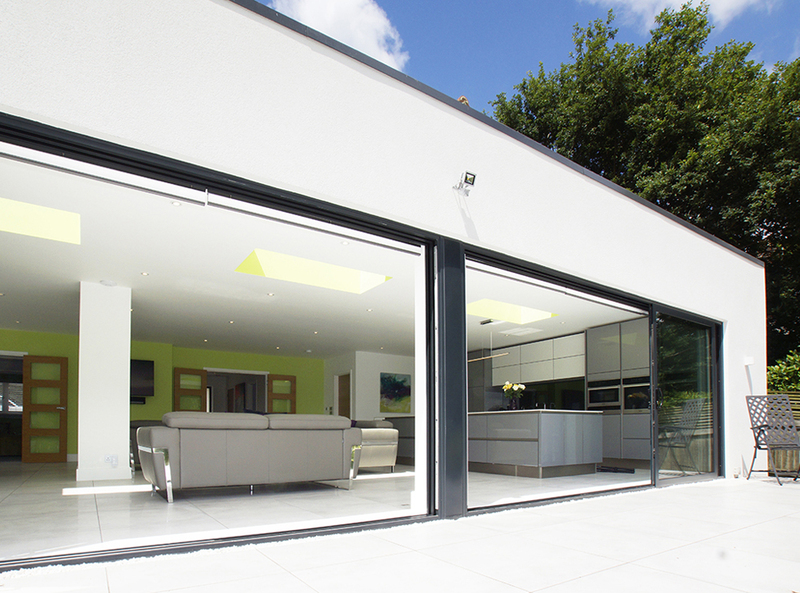 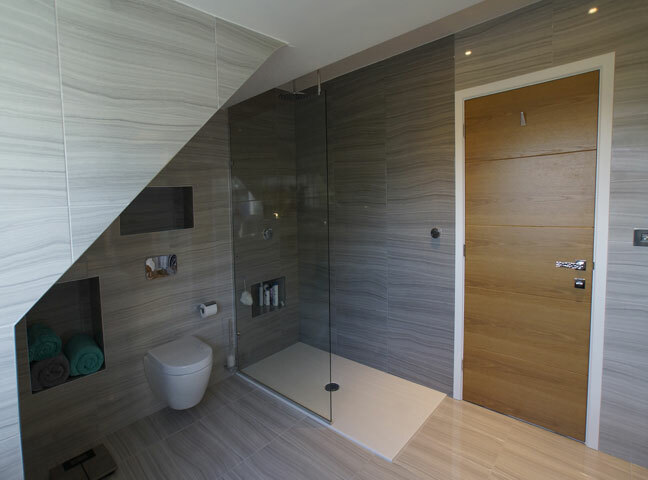 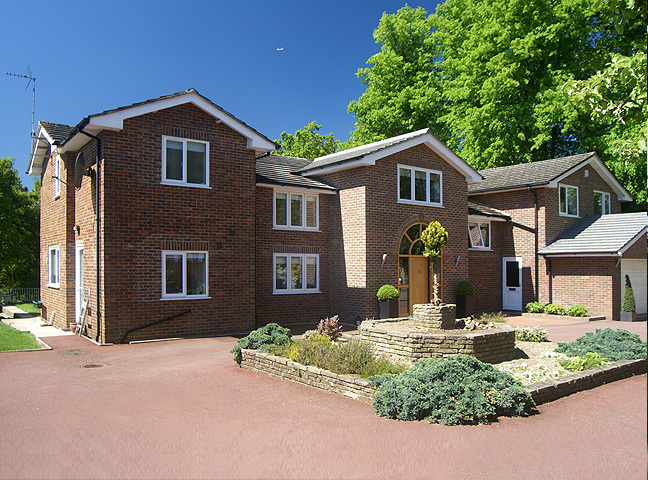 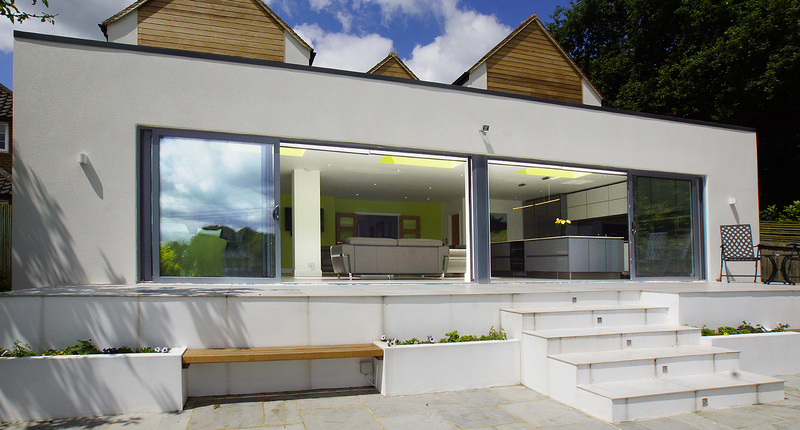 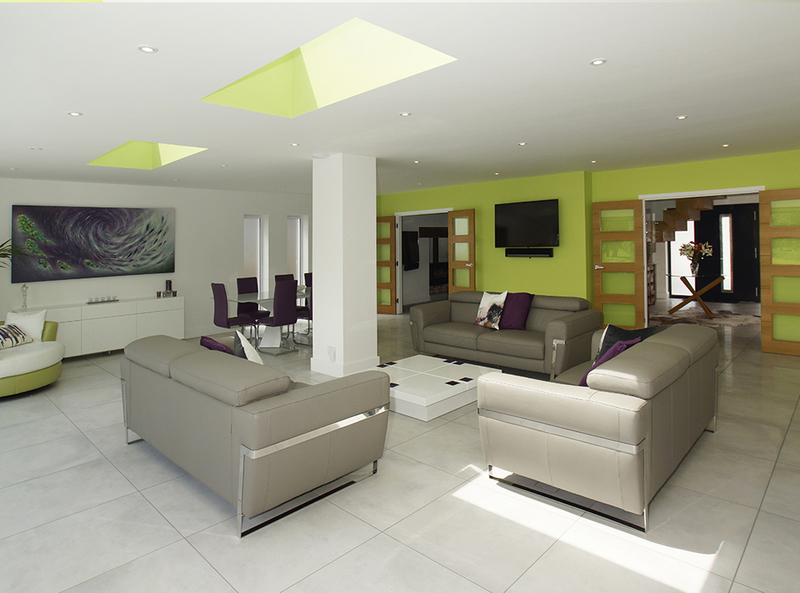 The finished house is a warm, light and well designed easy living enviroment.